The Vatican is criticizing U.S. President Donald Trump's immigration policy, with a senior official voicing concern and the Vatican newspaper saying Trump's recourse to walls and travel bans is counterproductive to America's economic interest. Archbishop Angelo Becciu, a top official in the Vatican's secretariat of state, was asked Wednesday about Trump's immigration policy. He said: "Certainly there's concern. Because we are messengers of another culture, that of opening, but also about the capacity of integrating those who arrive in our society and our culture." The Vatican newspaper L'Osservatore Romano headlined a front-page editorial Wednesday with the words "Closure isn't progress." 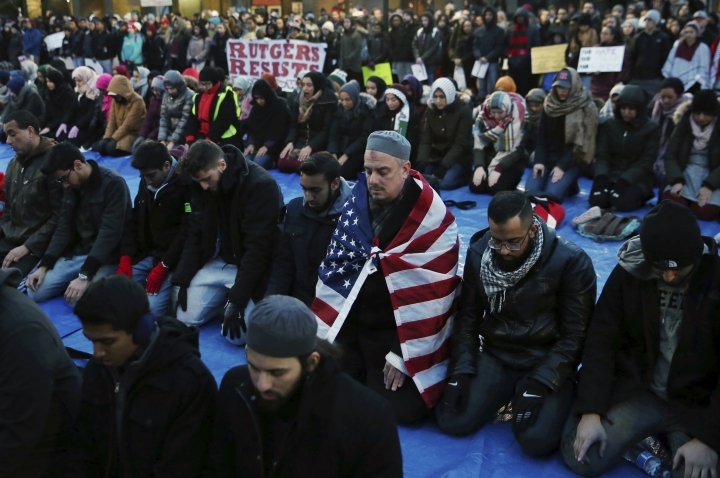 The newspaper said protests by U.S. corporations to Trump's travel ban against citizens of seven majority-Muslim nations showed that "closing doors to immigrants means depriving the country of potentially important resources." U.N. Secretary-General Antonio Guterres says the U.S. ban on travel into the United States and refugee resettlement violates "our basic principles" and is not an effective way to stop would-be terrorists. He told reporters at U.N. headquarters in New York on Wednesday that "these measures should be removed sooner rather than later." Guterres, who led the U.N. refugee agency for 10 years, said terrorist organizations have become very sophisticated and would probably use supporters with passports from "developed and credible countries" rather than people from countries "that are hotspots of conflict today." The U.N. chief said measures like those adopted by the Trump administration that spread anxiety and anger "help trigger the kind of recruitment mechanisms that these organizations are now doing everywhere in the world." Guterres said that's why the U.N. has been pushing for strong measures to control borders, but "not to base them in any discrimination link to nationality, religion or ethnicity." A Syrian man who was detained with his family upon arrival in Philadelphia and forced to board a plane back home because of Trump's executive order says he is still in shock. Bassam Abu Assali was turned back over the weekend despite having an immigration visa. He says he would never have made the journey if he knew he would be humiliated this way. Abu Assali also says he would still like to live in the United States if he is allowed and that he believes "America has democracy, freedoms and human rights" despite what happened. He spoke to The Associated Press in the Syrian capital on Wednesday. Abu Assali also said that he believes Trump's ban is an "individual" act that does not reflect the position of the U.S. government. A top European Union official says the U.S. clarifications shielding EU nationals with dual citizenship from the travel ban imposed by U.S. President Trump does not change the bloc's fierce opposition to the order. EU foreign policy chief Federica Mogherini told the European Parliament on Wednesday that what made Trump's order even worse was its Jan. 27 release date on the worldwide Holocaust Remembrance Day. She said, beyond commemorating the millions of Jews killed by Nazism, it also was a day "to reject any discrimination and to reflect on our duty to host those fleeing persecution." Mogherini also urged Trump "to pay attention to what is happening in his own country." 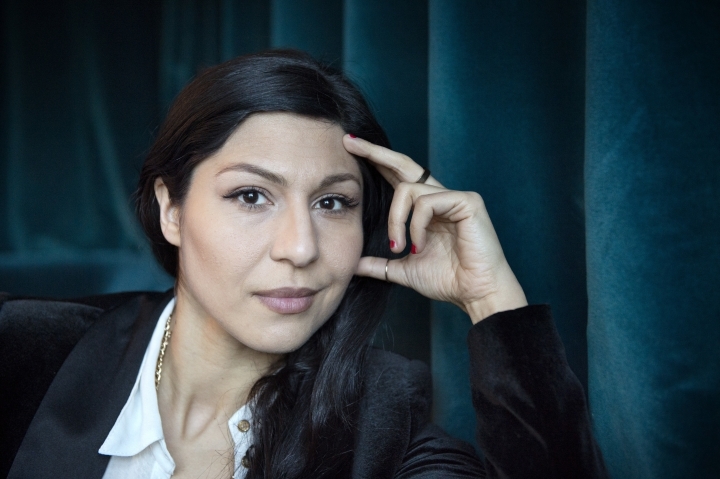 Iranian-born Swedish actress Bahar Pars, who hopes to share an Oscar for best foreign film, says she and fellow actor Rolf Lassgard "have decided to travel" to the Academy Awards ceremony despite the confusion around U.S. President Donald Trump's travel ban. Pars, who got Swedish citizenship in 1995, said by traveling to the prestigious Feb. 26 ceremony in Los Angeles "the effect will be a lot bigger." The 37-year-old actress holds both Swedish and Iranian passports. She tells The Associated Press that "standing there together and holding hands is a statement in itself" on Trump's temporary immigration ban against seven majority-Muslim countries, including her native Iran. Pars stars in Sweden's entry "A Man Called Ove." An American lawyer says hundreds of Yemenis with U.S. visas are stranded in the tiny African state of Djibouti because of President Donald Trump's ban on entry for citizens of seven Muslim-majority countries. Lawyer Julie Goldberg told The Associated Press on Wednesday that "these are all the children, parents and the spouses of U.S. citizens." She says they are not refugees and that more than half of the more than 200 Yemenis are children. Speaking from Djibouti, Goldberg says she obtained a court order dated Tuesday from the U.S. District Court in California's central district instructing the U.S. government to not enforce Trump's executive order and allow the Yemenis to fly to the United States. She seeks an airline that will comply with the order. Yemen has been engulfed in conflict since 2014. 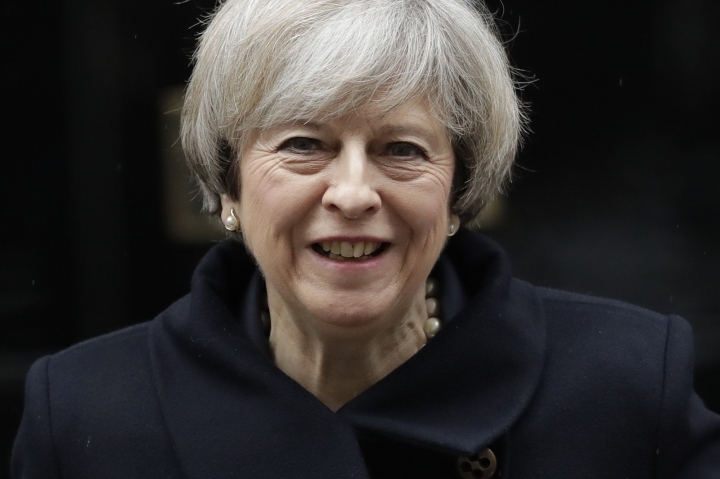 British Prime Minister Theresa May says Donald Trump's refugee ban is "divisive and wrong" — four days after she insisted it was a matter for the U.S. government. 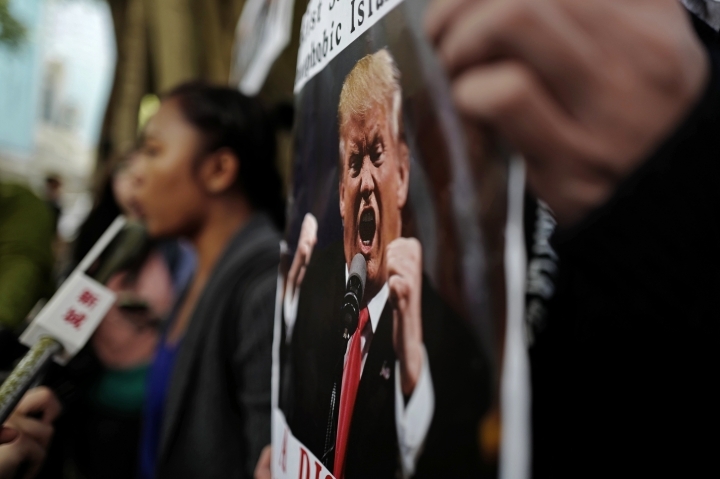 Trump's ban on citizens of seven majority Muslim nations entering the U.S. for 90 days — and all refugees for 120 days — has sparked protests in Britain, along with calls for Trump's state visit later this year to be scrapped. Asked about the travel ban at a news conference in Turkey on Saturday, May said that "the United States is responsible for the United States' policy on refugees." But on Wednesday she told lawmakers in the House of Commons that "this government is clear that that policy is wrong. We wouldn't do it ... We believe it is divisive and wrong." Five U.N. human rights experts say President Donald Trump's move to bar entry to the United States to citizens from seven Muslim-majority countries violates U.S. obligations on human rights. The five, who are commissioned by the United Nations, said in a statement issued in Geneva on Wednesday that Trump's executive order signed last week is "clearly discriminatory" and leads to greater stigmatization of Muslims. The order bars nationals from Iran, Iraq, Libya, Somalia, Sudan, Syria and Yemen from U.S. entry for 90 days. The five U.N. special rapporteurs are François Crépeau on migrants; Mutuma Ruteere on racism; Ben Emmerson on human rights and counter-terrorism; Nils Melzer on torture and Ahmed Shaheed on freedom of religion. They cited U.S. obligations to protect the principles of "non-refoulement" — or not chasing away people who have a right to protection — and nondiscrimination based on race, nationality or religion. They said the United States' responsibility "must extend to offering refuge" to people fleeing Iraq and Syria, citing U.S. participation in conflicts in those countries. The United Arab Emirates' top diplomat has come out in defense of President Donald Trump's order temporarily barring citizens from seven Muslim-majority countries from entering. Foreign Minister Sheikh Abdullah bin Zayed Al Nahyan said Wednesday that the United States was within its rights to take what he said was a "sovereign decision" concerning immigration. He says he does not believe the move was based on religion, and noted that the majority of the world's Muslim-majority countries were not covered by the order. Sheikh Abdullah spoke following talks with Russian Foreign Minister Sergey Lavrov in Abu Dhabi. The Emirates is one of the United States' closest Arab allies. It is part of the U.S.-led coalition fighting the Islamic State group and hosts American troops and warplanes taking part. Iran's state TV is reporting that President Hassan Rouhani has lashed out at the recent executive order by U.S. president Donald Trump to suspend immigration and visa processes for nationals from seven majority-Muslim countries, including Iran. Rouhani described Trump and his administration as newcomers who don't understand politics, saying, "A man had been living in another world and now has entered the world of politics."